I've been remiss in my blogging as of late, but I've been off to distant places . . .
. . . and trying new things. But now I'm home with my customary neighbors in the back-yard . . .
. . . and reminded that it's a wonderfully diverse country in which we live. 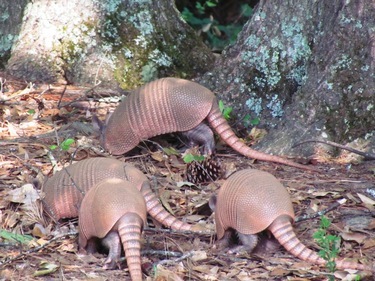 The picture of the armadillos brings to mind funny line. I lived in Texas for two years and remember a conversation on the radio between Jim Hightower and a Texas State Congressman. By the way, if you think DC politics are different, stop by the state capitol in Austin one day while the leg is in session - talk about wild and different. The Texas State Congressman said something (I don't remember the whole conversation) about the middle of the road and Hightower responded with "Sir, the only thing in the middle of the road in Texas is yeller lines and dead armadillos". Careful there, Justin. Use of the phrase "wonderfully diverse country" is likely to set off all kinds of shrill alarms amongst your fellow Super Patriots. Could even get you kicked off the list for your monthly honor from the Family Research Council and whatnot. 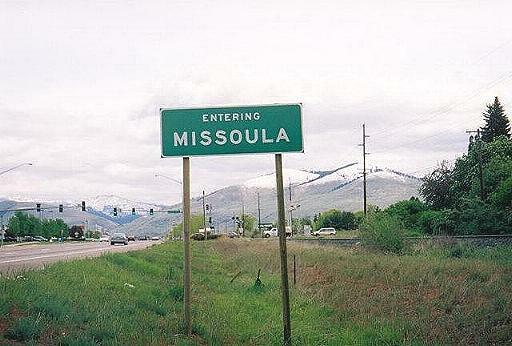 You should probably clarify that you were speaking only of indoor skydiving and armadillo diversity, and nothing more.